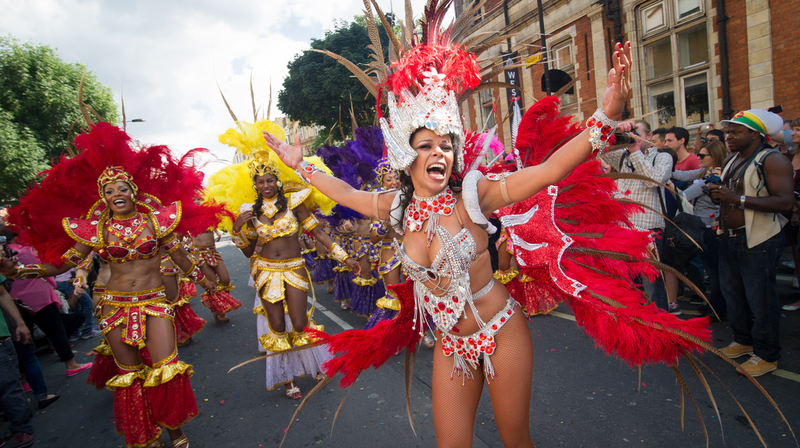 It's nearing that time of year again — Notting Hill Carnival is almost upon us. 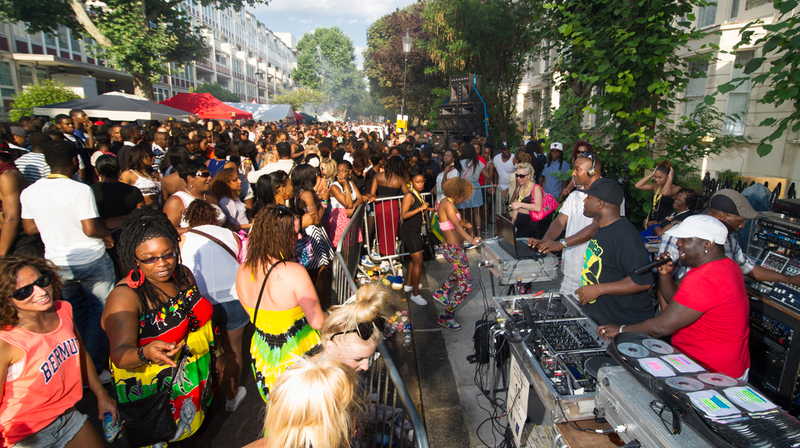 London's annual celebration of Caribbean history and culture is always one of the year's highlights, with warm-up and afterparties also setting the mood over August bank holiday weekend. The Carnival is more than just Europe's largest street festival, however. Along with the estimated two million attendees that make their way to W10 over the long weekend, there are the floats, trucks and, of course, the soundsystems. If you’re after a more chilled Carnival experience, Sunday August 25 is family day, while Monday August 26 is the more hard-partying parade. The festivities kick off with the opening ceremony at 10am on Sunday, with the parade starting at 10.30am, while Monday’s parade starts at 10am. Judging of Carnival’s many mas bands finishes at 6.30pm. Soundsystems play on both days, with a strict noise curfew of 7pm, giving floats, trucks and parade bands time to clear the streets by 8.30pm. The nearest tube stations without significant disruptions are Holland Park, High Street Kensington, Queen’s Park, Shepherd’s Bush, Bayswater and Paddington, although some of these will be exit-only. Nearby tube stations may shut temporarily to avoid overcrowding and some are subject to restrictions on both Sunday and Monday. Keep an eye on TfL’s Twitter accounts for the latest information. Bayswater and Paddington will be open as usual. It is advisable to use these stations rather than stations with restrictions. Holland Park is exit-only from 6pm on both days. Ladbroke Grove will be closed on both days. Latimer Road will close at 11.30pm on both days. Notting Hill Gate will be exit-only from 11am-7pm on both days. Circle and District line trains will not stop here between 11am-7pm on both days. Royal Oak will be exit-only from 11am-6pm on both days and will close at 6pm. Westbourne Park will be exit-only 11am-6pm both days and will close at 11.30pm. There will be no Overground service at Queen’s Park and Kensal Green stations on Sunday (due to planned engineering work). Kensal Rise and Shepherd’s Bush stations will be open but services between Clapham Junction and Willesden Junction will only start running at 11.15am on Sunday. An amended Saturday timetable will run on Bank Holiday Monday. 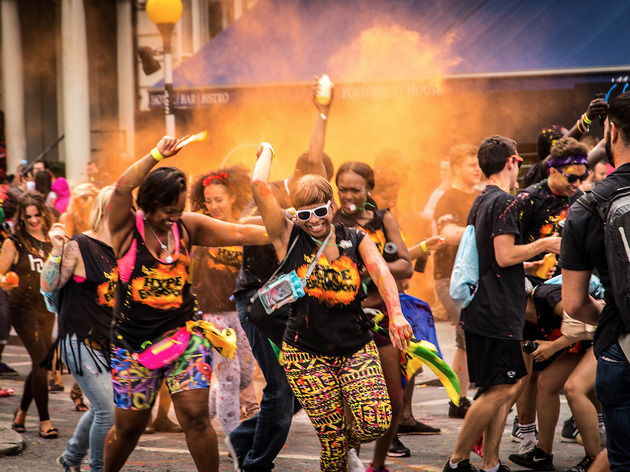 There will be extra services on routes 2 and 36, but no buses will enter the Carnival area from first thing on Sunday until the first service on Tuesday morning. Night buses in the area will also be subject to diversions. On both Sunday and Monday, bus services will start from Notting Hill Gate in the south and from The Prince of Wales on Harrow Road (close to Elgin Avenue) in the north. Bus stops within the area will have information on diversions and disruptions but check TfL’s website for the latest info. 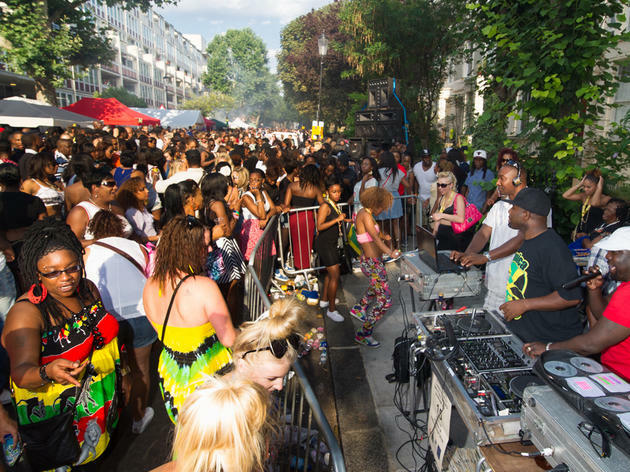 Sunday has always been family day at Notting Hill Carnival, but this year the organisers really want it to be one for the kids. Arrive early to beat the crowds. Bring snacks and water. Top tip: write your mobile number on your child’s arm, so you can be easily contacted if you get separated. 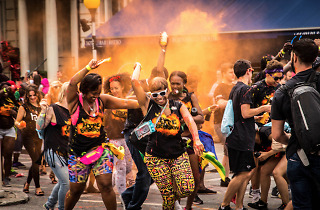 Carnival organisers have produced a handy app, complete with GPS. Available from the Apple Store and Google Play. Navigate your way through this year's Carnival with our map of the main parade, bars, toilets and tube stops. Ms Dynamite, The Heatwave's Gabriel, Gaz Mayall (Gaz's Rockin' Blues) and more share their advice for having a ball over the August bank holiday.